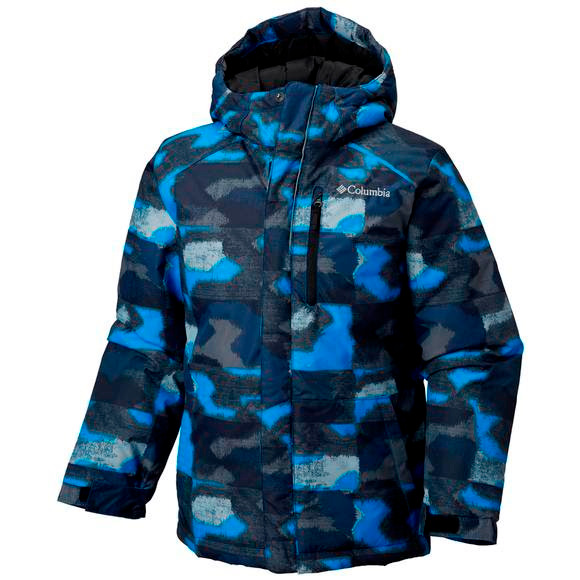 Columbia's heavily insulated, waterproof Lightning Lift Jacket lets boys be boys, no matter how cold and wet the weather gets. The Lightening Lift Jacket is crafted from a sleek, technical nylon ripstop fabric with 240g of insulation in a modern, slightly longer cut for plenty of coverage and style. Columbia&apos;s heavily insulated, waterproof Lightning Lift Jacket lets boys be boys, no matter how cold and wet the weather gets. The Lightening Lift Jacket is crafted from a sleek, technical nylon ripstop fabric with 240g of insulation in a modern, slightly longer cut for plenty of coverage and style. I recently ordered this jacket as a first time customer. The jacket is wonderful but we were worried it would be a little too small for our 3 year old. Bob Wards made it INCREDIBLY easy to exchange, I received a larger size and label to send the smaller one back. I will definitely order from Bob Wards again!